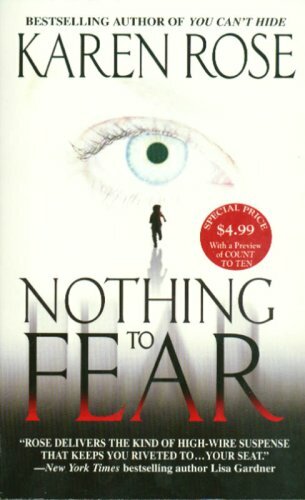 In the city of Chicago a young woman is raped and murdered and a house ignites into an inferno, sparking a wave of arson and murder that is as chilling and horrendous as it is calculated. Spurred by an unslakeable rage, damaged by an unspeakable past, a killer stalks the night, searching for a helpless vengeance long denied. Chicago Fire Department Lieutenant Reed Solliday is teamed up with CPD Homicide Detective Mia Mitchell to stop a killer with a taste for the beast. Just back on active duty following a shooting that put a hole in her and almost killed her partner, crippled by some personal issues that haunt her nights, Mia doesn't make the best first impression on Solliday, but it doesn't take long before the spirited detective first earns his respect, then his admiration as a grueling case tests their mettle beyond anything either had previously experienced. 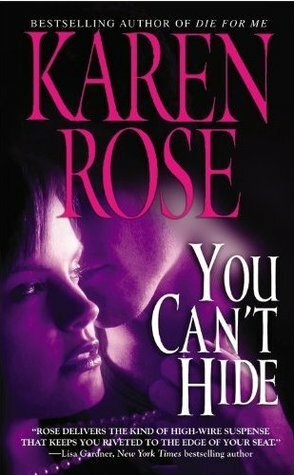 Even as they tighten the net around the killer, the body count rises higher and higher, but it is when the attacks get personal and the killer strikes at Mia that Reed realizes professional respect has warmed into something far more personal. Their feelings for each other may just serve to throw more gas on an already raging fire if they can't stop a madman before the next time he counts to ten. 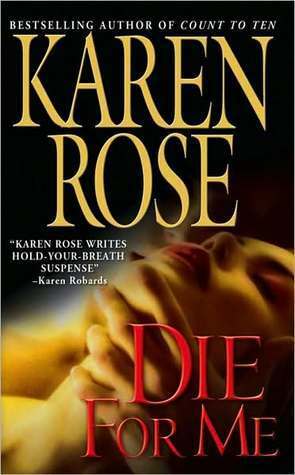 Karen Rose writes the type of romantic suspense I most favor, featuring a serial killer or single person threat and the subsequent crime solving and capture, where the romance and suspense aspects are blended with a satisfying number of subplots and supporting characters that enhance both main plot lines. 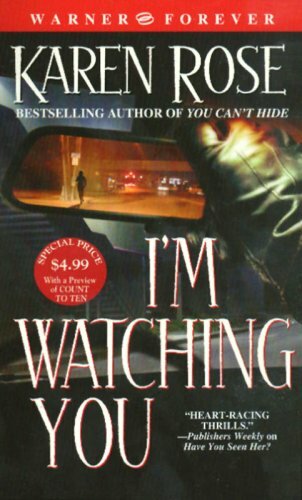 They are thorough, detailed, complex, and often with tragic but insightful glimpses into the minds of psychopaths or sociopaths, their victims, and the heroes who fight for them. 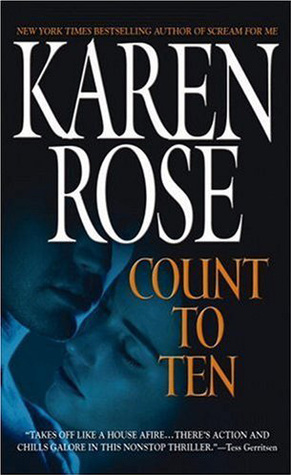 In that vein, Count to Ten was successful, but for the first time reading a book by Rose, I felt like the book was a little over written, with too much detail, too many subplots, and a too drawn out search for a killer. At well over five hundred pages, I couldn't help but feel like several plot threads were superfluous and the book could have been just as thorough without feeling overdone had it been more tightly edited. That being said, I can't help but admire how thoroughly the main characters Reed and Mia were developed. 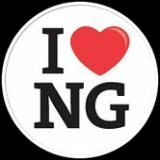 Flawed, strong, three dimensional characters, they were likable, believable, and real. 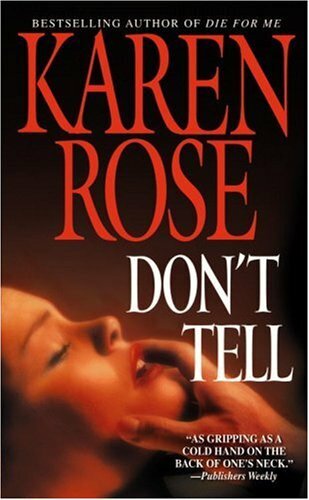 Mia, more familiar to me from her appearance in a couple of Rose's previous books as a secondary or ancillary character, was given a ton of baggage that played exceptionally well as fodder for her neurosis and personal issues. Reed's childhood, his issues with his daughter, and the damage he still carries from the loss of his wife were relegated more to the background and weren't nearly as layered as Mia's many issues, but were enough to round him out and give him plenty of depth. Still, I couldn't help but think that maybe one or two pieces of Mia's baggage could have been left in the authorial trunk to trim down the story a bit without losing the flavor of her character. 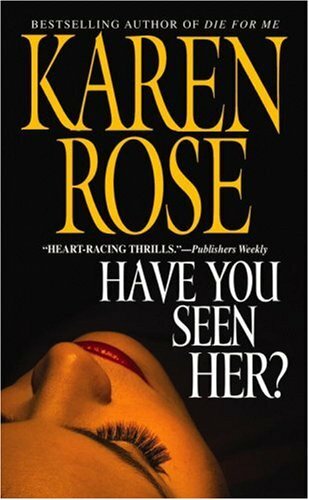 I'm also torn between admiring the realistic, meticulous clue-following of the investigation, even as it lead to one red herring and misdirection after another until the killer was on the ropes, and feeling like the investigation got bogged down in several places because of those misdirections and red herrings. And if that contradiction isn't enough, I also admired the development of the romance between Mia and Reed, which seemed organic to the characters, slowly developing in a realistic manner, yet was left feeling not completely satisfied by the culmination of that romance. It's frustrating, actually, how conflicted I ended up being about Count to Ten. There were aspects of the book that were heartbreaking and traumatic, and parts that seemed a bit too convenient. Parts that were thrilling and tense, and parts where my attention wandered. Parts that totally satisfied, and parts that didn't. It's a very thorough story, but a little too thorough. In the end, it's simply a book that had a little too much content for my taste...even though I liked most of that content.